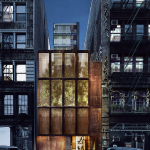 With some financial maneuvering, the long-delayed construction site at 22 Bond Street in NoHo will finally see some action. 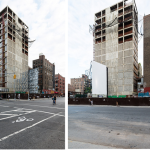 For years, a 14-story super structure has been lurking at the coveted corner as a blatant reminder of a hotel project that went south. 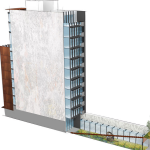 Now, with some refinancing, BKSK Architects will adapt the existing skeleton into an 11-story, block-through condo building. 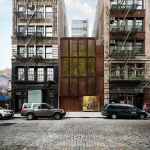 The Commercial Observer reported “developers Second Development Services and Richport Group have refinanced their $28 million acquisition and construction loan on 22 Bond Street from Starwood Capital Group with new debt from Glacier Global Partners.” So this means that the $52 million project is now moving forward—but there is still no completion date just yet. 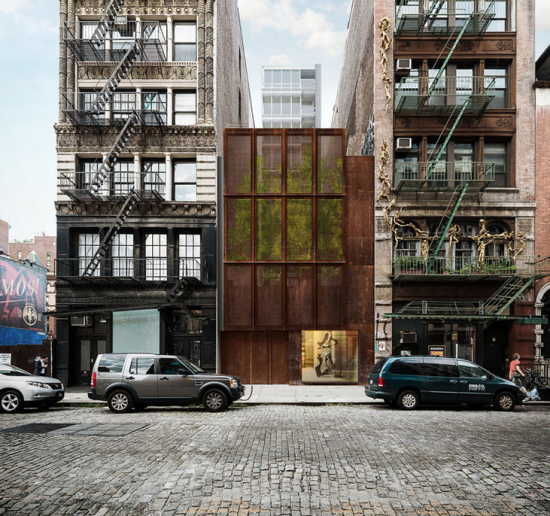 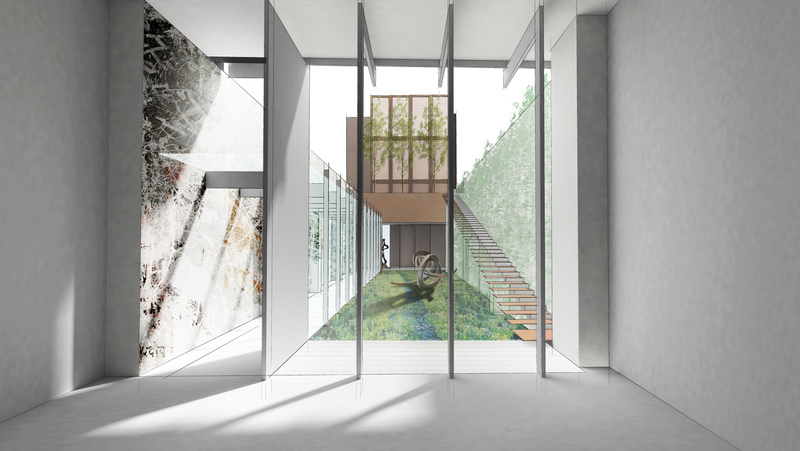 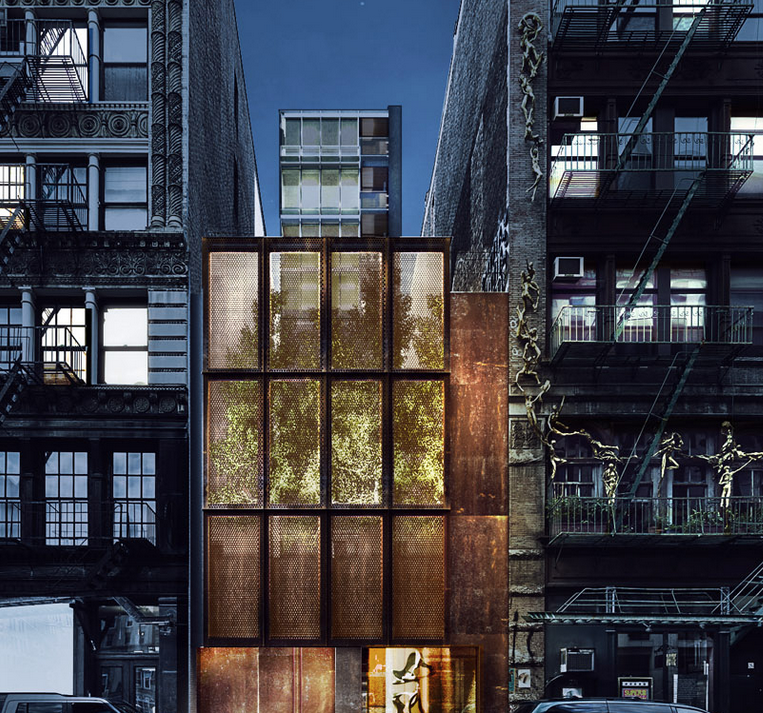 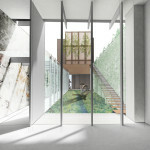 This will be BKSK’s second major project on the architecturally potent Bond Street. 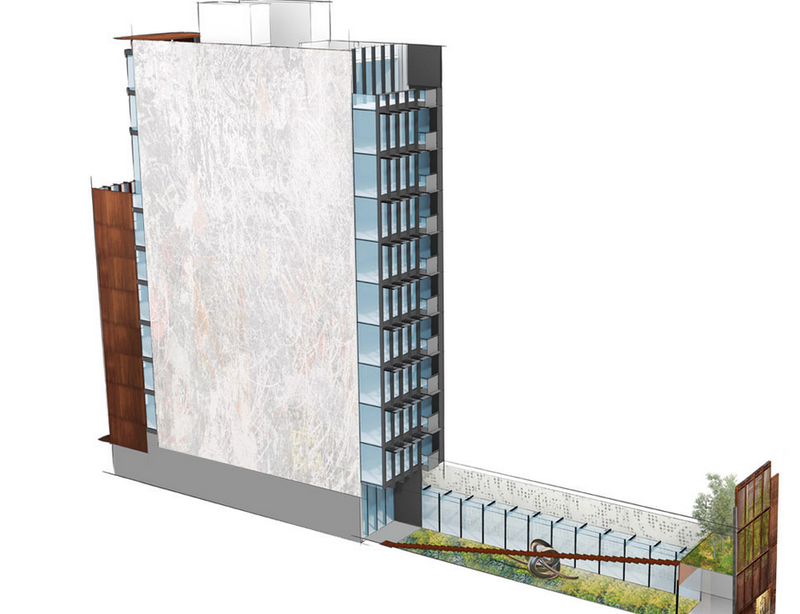 The backside of 22 Bond faces the firm’s 25 Bond, a stately condo building clad in stone, bronze, and glass. 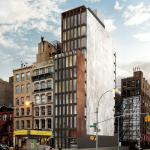 And right across Lafayette Avenue from 22 Bond are two nearly-completed buildings from other big name design firms: Selldorf Architects and Morris Adjmi. 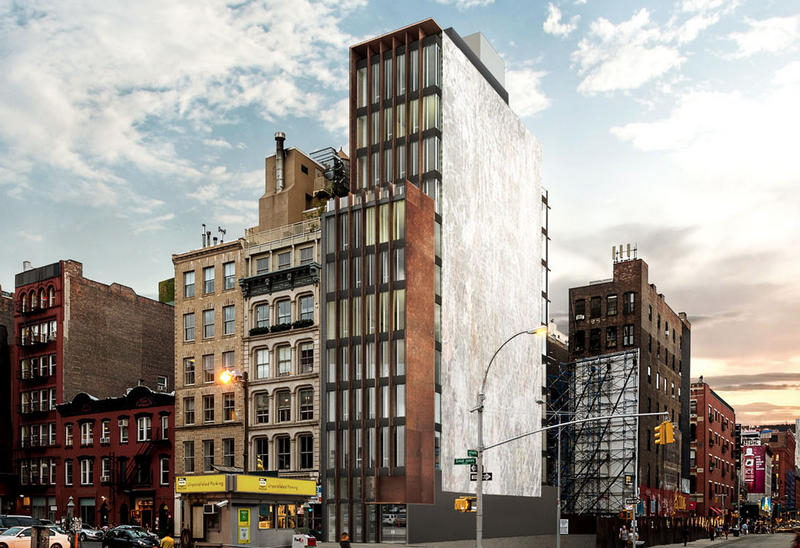 The Selldorf-designed 10 Bond Street is clad in sculpted terracotta panels, while Adjmi’s 372 Lafayette has an aluminum skin. Check out the photos and renderings of 22 Broad street below to see the building’s sorry state today, and where it’s headed soon.